WASHINGTON ? NASA?s James Webb SpaceTelescope (JWST) is expected to cost at least $1.5 billion more than currentestimates and its launch will be delayed a minimum of 15 months, according toan independent review panel tapped to investigate escalating costs andmanagement issues with the next-generation flagship astronomy mission. U.S. Sen. Barbara Mikulski (D-Md.) calledfor the independent review in June to identify the root causes of costgrowth and schedule delays on the JWST. "The Webb telescope will now cost $6.5billion, $1.5 billion more than the estimate included in NASA?s February 2010budget request, Mikulski wrote in a Nov. 10 letter to NASA AdministratorCharles Bolden after reading the Oct. 29 report. "Its launch will bedelayed by over a year, from June 2014 to September 2015." In her letter, Mikulski said NASA must have asense of urgency and frugality in correcting the JWST?smanagement problems and present Congress with a realistic budget for theprogram. "We cannot afford to continue withbusiness as usual in this stark fiscal situation," she wrote. The panel, led by John Casani, specialassistant to the director of NASA?s Jet Propulsion Laboratory in Pasadena,Calif., attributed the cost growth and schedule delays to ?budgeting andprogram management, not technical performance," according to the report,which characterized the JWST?s technical progress as "commendable andoften excellent." However, the report notes that "theremay be a number of low probability threats whose occurrence could cause anadditional year delay in launch and a correspondingly higher cost." The panel recommends restructuring the JWSTproject office at Goddard to emphasize cost and schedule ceilings. "Theflawed practice by the Project of not adequately accounting for threats in thebudgeting process needs immediate correction," the report states. 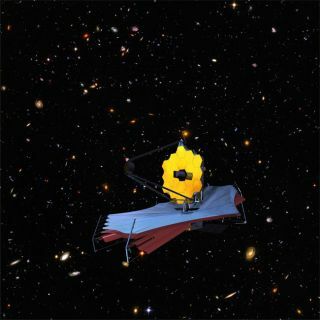 However, the report also found that "theJWST Project has invested funds wisely in advancing the necessary technologiesand reducing technical risk such that the funds invested to date have not beenwasted," according to the executive summary. "The managementapproach, however, needs to change to focus on overall life cycle cost and awell-defined launch date." Bolden, in a Nov. 10 statement, said heagrees with the panel?s findings and that NASA would overhaul the program?smanagement structure. "No one is more concerned about thesituation we find ourselves in than I am, and that is why I am reorganizing theJWST Project at Headquarters and the Goddard Space Flight Center, and assigninga new senior manager at Headquarters to lead this important effort,"Bolden said in the statement. The NASA chief said he is encouraged by thepanel?s finding that the JWST is technically sound and that the projectcontinues to meet its milestones. "However, I am disappointed we have notmaintained the level of cost control we strive to achieve ? something theAmerican taxpayer deserves in all of our projects," he said. "NASA iscommitted to finding a sustainable path forward for the program based onrealistic cost and schedule assessments."